Start taking classes at North Sky Kung Fu and other studios! These classes are all-levels and they focus on Eagle Claw Kung Fu. They include all aspects of martial arts including classic forms, fighting, locking, and weapons training, as well as fitness, philosophy and more. There are no upcoming “Kung Fu - All Levels” classes on this day. Come prepared to work out in a tee shirt, loose workout pants, and sneakers. For Kung Fu classes, don't be shy about letting instructors know what your area of interest is: self defense, fitness, sparring, or getting centered through Chinese Martial arts. 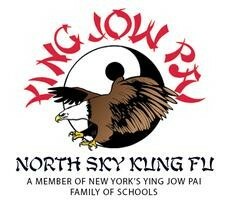 North Sky Kung Fu is centrally located on 28th Street between 6th and 7th Aves. They're near the No 1 Train and the R — both to 28th Street. They're also a few blocks from Penn Station, and across town from the 6 to 28th or the F to 23rd. Very nice class and instructors! They focus on what you are interested in. I am into self-defense and the art and I learned quite a bit of both. Will be coming back for Tai Chi too! Instructor was very patient and good with describing the stances and how to apply power to the kicks and punches that they teach us. Will definitely be coming back!! Tons of fun! The owners are super nice and welcoming to people of all levels. Welcoming to beginners. Appreciated the one on one attention from Julie. She's a fantastic instructor. I'll be back! It's helpful to know some basic martial arts but open level classes will be tailored to the students there - as someone who used to do kung fu but hasn't in 5+ years it was a great pace! Well informed instructors who are very patient. I agree with other reviews that there was a relaxed atmosphere, which I appreciated since it was my first time taking a martial arts class! This class was amazing! Friendly space, great atmosphere, great teachers... definitely recommend it to everyone! That was the best one on one training with Julie. She is very knowledgeable in Eagle Claw. I'm so glad I was able to do this intro class. We went over basic techniques and the beginning of a form. I broke a sweat with warmup and training. Def want to start proper training!